This week we’ll take you through a very crucial part of surfing, a tool that you won’t be able to go surfing without. As a matter of fact, you’d need to be Jesus himself to be able to surf without one – yes, we’re talking about the surfboard of course. 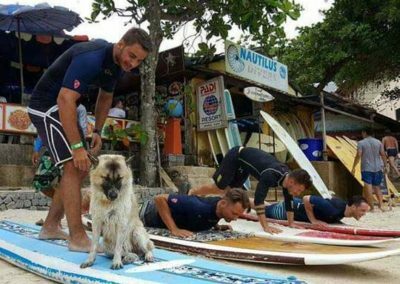 This article will take you through some of the main types of surfboards there are available out there, most of which we also have here at Phuket Surfing. Allow us to take you through the types of boards here, so you’ll be able to make an educated choice when choosing one for your next big surf endeavour. 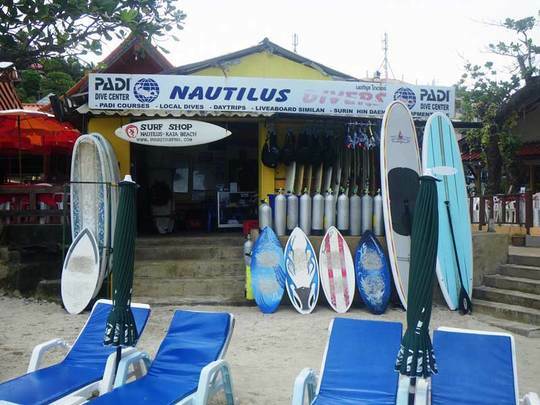 There are boards for every skillset; for beginners, intermediate and advanced surfers. Nonetheless, which one of these types best describes you and your skillset, you also need to take the waves into account when choosing your board. Shortboards are highly manoeuvrable boards, suitable for fast, steep waves. They range in length from 5’ to 7’ and have an upturned nose, that helps you avoid burying the tip of your board under water (also called pearling). The shortboard possess 2-4 fins that allow for quick, radical turns. 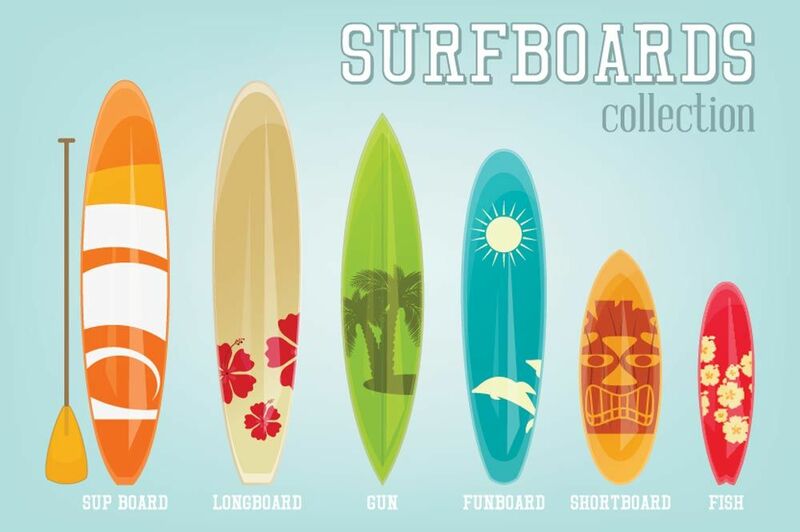 They are called shortboards because, well, they are shorter and narrower than their older brothers – the long boards. Shortboards are super fun and really the go-to choice for anyone with a bit of experience. Well, the name more or less tells you what it is for, but we’ll go through it anyway. If you are in an area with loads of big waves – you’ve found your board. The big wave board is also known as the big wave gun or as the elephant gun, and should be considered for the really big waves, for big wave surfers. This is probably not a board for beginners, maybe not even for intermediate surfers – but for advanced surfers, this is the board of choice. The big wave board is a longer (8’-9’) and higher volume board built for the speed and intensity of big surf. These boards are tested by serious surfers in serious waves and are specially designed to help the fully committed surfer drop into monster waves quickly. The longboard dates back to ancient Hawaiian nobility, and is ridden by surfers of all ages, shapes and skill levels today. This is, well all the beginners who’d like to master the art of surfing. 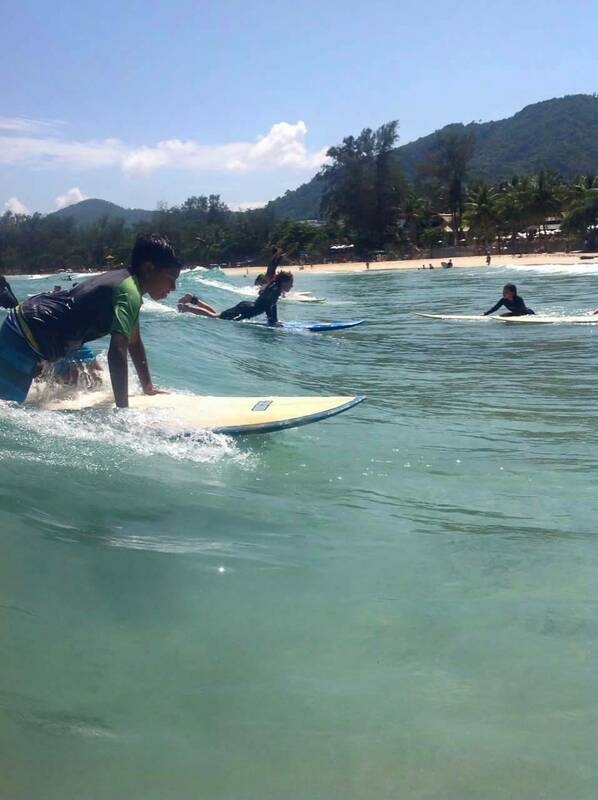 This is also we’re you’ll begin when taking surf lessons with at Phuket Surfing. The longboard is longer than the shortboard and is fun for novices and experienced surfers alike. The longboard surfboard ranges in length from 8’ to 10’6 and is ridden from the tail all the way to its nose. Depending on how it’s designed, you can surf it progressively (like a short board), making tight turns with the intent of moving up and down the wave face at a blistering pace. Most long boarders prefer to ride in a more traditional fashion and are content to slide along the wave while walking the length of the board, the sole purpose being to casually enjoy the ride and attempt to plant the toes on the nose-section. Longboards makes it easy to paddle and catch waves of all sizes – in other words, a good beginner surfboard. 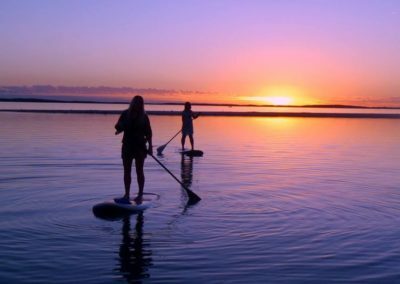 As you sit on your traditional board, it is difficult not to envy the surfer standing up as he or she coolly paddles by, surveying the local scene on the newest addition to the surfboard lineup: the stand-up paddle board. 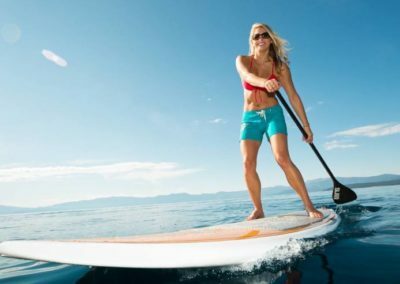 The stand-up paddle board is a large, wide, buoyant board from 10’ to 12’ in length, and is designed to allow the surfer to paddle while standing up in all kinds of conditions. To surf this type of board as intended, you need to purchase a paddle that is an appropriate length for your height. 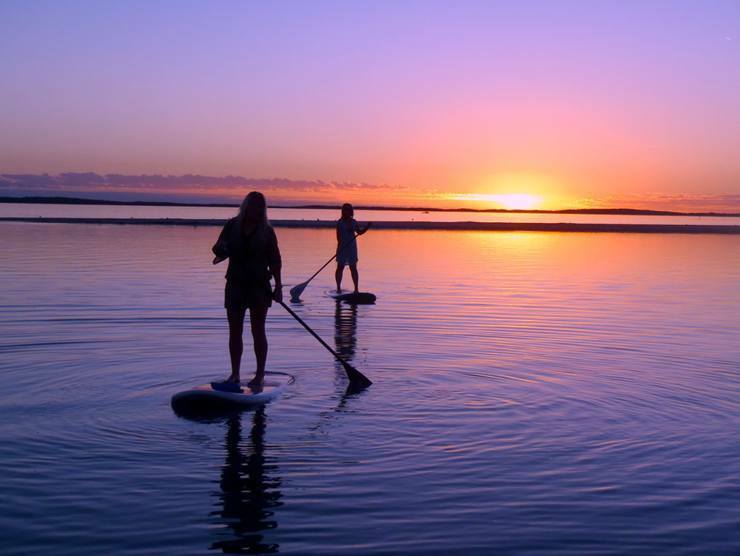 On calm days, you can paddle for exercise, enjoy the outdoors, or just soak up a view usually afforded only to boaters. However, when a swell arrives at the local break, the stand-up paddle boarder is in a favorable position compared to other surfers. Because he is already standing, it is easier for him to see and time the oncoming swells. 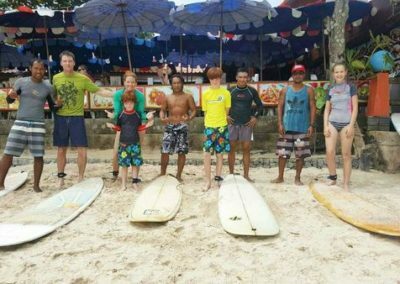 Intermediate and experienced surfers are rewarded with a uniquely fun ride because they have the knack and timing required to catch waves. Beginners, don’t despair: put your time in on flat waves (a lake will do) and get your balance down. Soon you will be surfing and paddling around. Bottom line, these boards are multi-faceted and fun. Regardless of your skill level, all you need is the time and desire to learn how to ride one effectively. 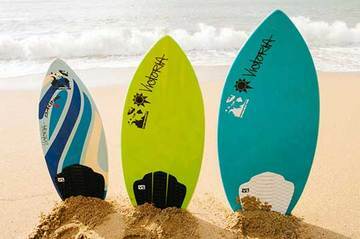 In surfing, we are blessed with a wide range of waves, so we also have many types of surfboards on which to enjoy them. Choosing the right board is essential to the experience. If you’re buying or renting your first one, you’ll definitely need some tips on how to buy a surfboard – which we hope this article could help you achieve. 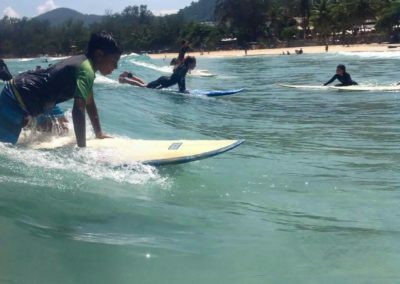 If you’re in Phuket and out to experience surfing first hand, come visit us and get a free introduction into the world of surfing. 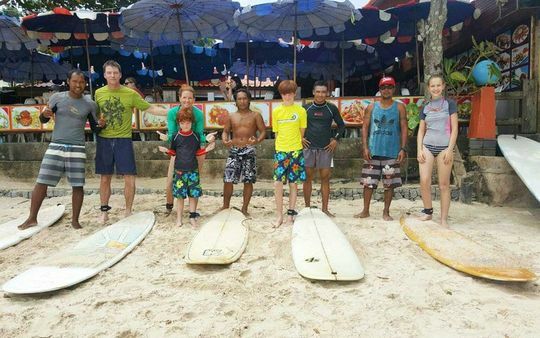 Before you know it, you’ll be taking a few surf lessons with us and en route to become a passionate surfer!